The global demand for 3D printed drugs is increasing and gaining immense popularity on account of the FDA passing a priority review voucher system for these drugs. Other factors boosting the growth of the global 3D printed drugs include technological innovations in 3D printing procedures. 3D printing was expensive before but today it has become cost-effective and more accessible and this has led to an increased adoption of 3D printed drugs. One of the key factors resulting in the high demand for 3D printed drugs is their instantaneous solubility. 3D printed drugs are extremely easy to swallow. In the near future 3D printing can be used for customizing drugs for each patient. It is extremely likely that 3D printed drugs will appeal extensively to children as they can choose the colour, shape, design, and taste the tablet making them far less resistant to taking their required medications. All these factors are anticipated to propel the growth of the global 3D printed drugs market. On the other hand, there are many scandals and phishing or hacking of data which are stored online or on cloud and this could result in patients being increasingly reluctant regarding disclosing their medical information which is required for 3D printed drugs. For a 3D printed drug, a 3D blueprint is required to be made of the patient, their dosage, and medical history are also required. Another factor which is anticipated to pose a challenge for the 3D printed drugs market is the issue regarding mislabelling of blueprints and inputting wrong description. Also an extremely important factor which is challenging the growth of the global 3D printed drugs market, is the lack of regulations. There is no clear law regarding 3D printing and this is expected to be an issue. Currently, the global market for 3D printed drug is in its budding stage; however, it is poised to undergo a phase of positive growth over the next few years. The advancements 3D printing technology and the increasing investments to increase the research activities for the development of highly efficient 3D printed drugs are likely to boost this market substantially in the near future. With the decline in the price of 3D printers, the market for 3D printed drugs is witnessing a significant rise across the world. The increasing usage of 3D printing as an additive in the medical and healthcare industry will act as a catalyst to this market in the coming years. The rising trend of using 3D printing technology in the printing of artificial bones is also projected to aid this market over the next few years. 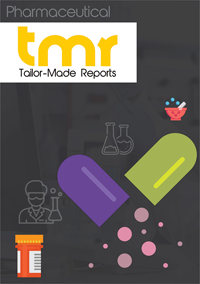 The global 3D printed drugs market is gaining significantly from the rising awareness pertaining to the advantages of these drugs, such as their instantaneous solubility. Apart from this, the augmented arrival of individual drugs and production of combination medicines, stimulated by 3D printing, is also expected to propel this market in the near future. Since 3D drugs can be customized as per the requirement of every patient, assisting way better than batch-produced drugs, their demand is predicted to increase substantially in the years to come. Overall, the future of the worldwide market for 3D printed drugs looks bright. However, the reports of adverse effect of these drugs may create hindrances for this market over the forthcoming years. The global market for 3D printed drugs reports its presence across Europe, North America, Asia Pacific (APAC), and the Rest of the World (RoW). Europe and North America have surfaced as the key contributors to this market, thanks to the presence of an advanced domestic healthcare infrastructure. With the high investment on research and development and the advent of the U.S. as the leading domestic market for 3D printed drugs, North America is anticipated to acquire the topmost position in the global market over the forthcoming years. Among other regional markets, Asia Pacific is likely to report a significant rise in the near future, thanks to the increasing investments in research and development activities in India and China. As of now, only one company is involved in the production of 3D printed drugs: Aprecia Pharmaceuticals. The pharma company has successfully developed the first 3D printed drug in the world and has named it Spritam. The U.S. FDA has approved the drug and it is currently being sold in the U.S market. Other drug makers are expected to follow the suit in the near future on account of the swift advancements in technology and the declining price of 3D printers.